Dealing with interruptions in business can be very costly and time consuming. Ensuring your portfolio is protected is exactly what we can assist you with. The litigators at O’Connell & Associates use their strong commercial property knowledge and courtroom experience to look out for your bottom line. We make sure you are protected in cases that deal with landlord-tenant disagreements, eminent domain seizures, damaged property liability, and commercial real estate closings. Our firm has the experience to take your brand new business and guide you through leasing agreements to moving larger businesses into full building leases. Our main goal is to protect the rights of our customers and work through any dispute resolutions needed. Who will manage your personal assets if you become unable to do so because of unexpected health reasons? Who will inherit your assets after death? Is it better to have a Will or a Living Trust? How do I keep my Estate Plan up-to-date with changes in personal assets and tax laws? No matter how many assets you have, it is important to have an Estate Plan. At the Law Office of O’Connell & Associates, we will assist you with evaluating your options and helping you develop the best plan for you and your family. For business owners, we can also assist you in setting up a plan for the assets of your business. As a business professional, you understand the importance of sound legal arrangements. You also might consider a business succession plan. Ensuring that your objectives are made known with a comprehensive plan will prevent future disputes and reduce stress between business partners, investors, and your family. If you have recently lost a loved one we can help you with the administration processes. If you are named as the executor or administrator of an estate, our firm can assist with probate, intake of assets, closing out bills with creditors, asset distribution, taxes and any conflict/disputes that may occur. Planning for your estate on a personal and business level is critical to protect your interests and investments. One of our estate planning attorneys will sit with you and review your professional and personal assets to develop an estate plan tailored to your personal needs. Schedule an Informative Attorney Consultation Today! You can contact our Escondido office by phone at (760) 465-4043 or by using our convenient online form . Many businesses can incur unnecessary legal fees and expenses because of poor planning. 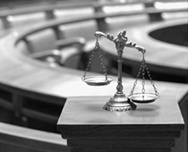 It is helpful to have the advice of a skilled lawyer to avoid business disputes that can end with costly litigation that may have been avoidable. At O’Connell & Associates, our firm helps business owners in Escondido, California and the surrounding area save money by providing experienced and effective legal advice. Running a successful business that is profitable depends on many things. Unexpected issues often arise that may not have occurred before and require the expertise of an attorney. Employee disagreements or customer disputes can be a major frustration. These issues can be confusing, time consuming, and costly to handle on your own. The law offices of O’Connel & Associates, in Escondido, California, assist business owners with complex business issues on a daily basis. Need advice? Contact the Law Office of O’Connell & Associates at (760) 310-2463 to speak with us or by visiting our Contact Page.